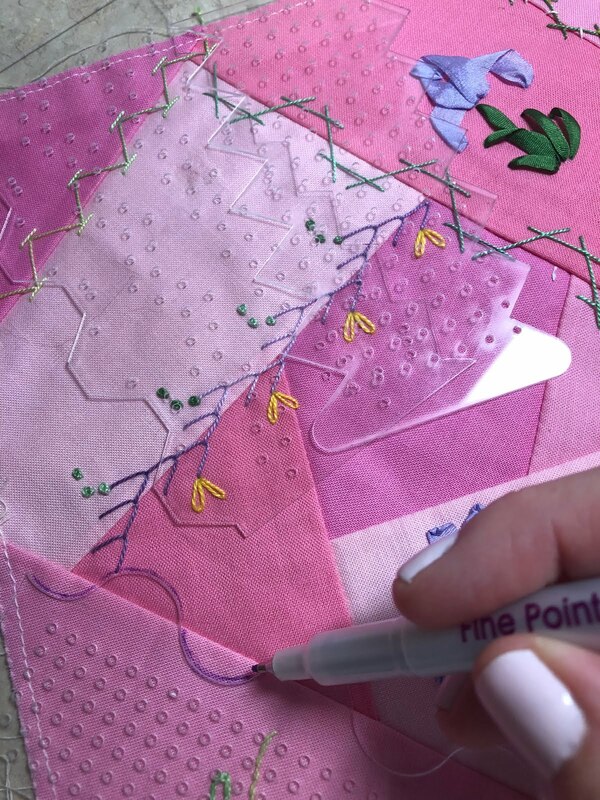 I have been selling stitching templates that I designed for the last couple of months and I have had requests to show you a few ways to use them. I thought I would do my first tutorial with the Feather Stitch Template. First you line up your dots on the seam as pictured above. Using a purple air erase pen, I mark the dots that are on the template. Here's what the seam should look like after you have it marked. I use a purple air erase pen because it disappears with the humidity in the air and I don't have to get my project wet to get rid of the marks. Using the dots as a guide, you start doing your feather stitch. The nice thing about using the template, is that you don't have to worry about getting your stitches even on your own! 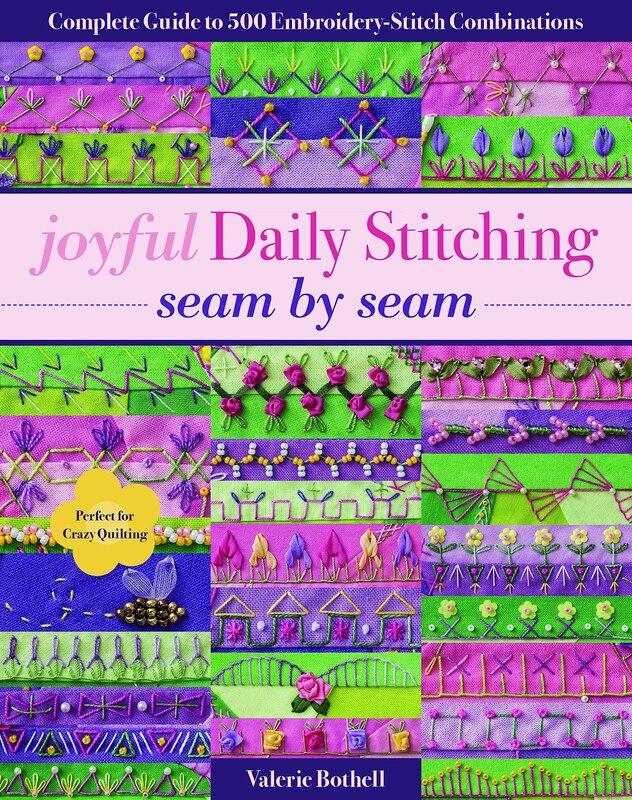 You just quickly stitch on your seam and it is done perfectly and quickly! The three pictures above, show the progression down the seam as you stitch using the dots you marked. 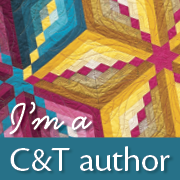 You can buy all three as a set for $20.00 or the Feather Stitch template is available for $7.00. You can email me at pinkbunny@valeriebothell.com if you are interested! City Arts Classes for Summer!